It took me a couple of months to gather the pieces to build this computer. I originally set out to make a computer as small and compact as I could, but that didn't really work at this time. This computer would be hidden away from view anyways while being hooked up to the living room TV. This is my third build and my most expensive one. My first Intel build though. Keep in mind that cable management for this build sucked, I really wish I went with a modular PSU. I finally got it put together right after having to buy a new motherboard. The original one I had was the B150I and I accidentally bent the pins when putting the CPU in. That made me mad, so I had to save up to get a new motherboard. And with me being the only provider for my family of 4, it took awhile. 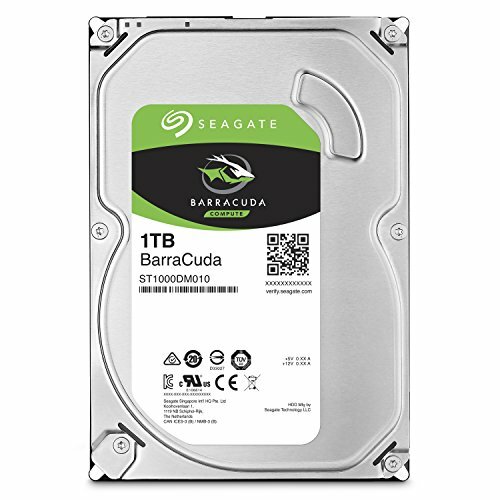 When I was looking for parts I wanted all the parts to be affordable yet current, able to play games at 1080p if I wanted to do so and to be a nice computer to have the kids play on in a couple years. I also wanted it to be upgrade-able if need be. My oldest is almost 4 and she has played on it a little bit, just now learning how to use a mouse. So after getting all the parts and putting it together, I hooked it up to the TV and found out that the WIFI didn't work. I had to manually copy the drivers from the CD that was in the motherboard box and put them on a USB stick. Either way, it worked out. The price on this build was way more then I wanted to spend, but I think this computer will last awhile...I hope. For the future, I will probably get another stick of 8gb of RAM. Also as an FYI; I really wish I went with a modular PSU. With the Cooler Master Elite 110, having all those wires in there made it a HUGE pain. Will need to get a new mouse as well...but I didn't put the mouse or keyboard in this build. Edit 09/2018: bought a brand new never used i5 7500 for $165. Put it in and it works great. For the price this CPU can't be beat. It's snappy and quick. No hiccups so far. It works great for the normal everyday use and a works well with gaming. I got this motherboard because I read that the BIOS was easy to use and configure stuff out with. This is an amazing board. WIFI is great and though sort of hard to get going (had to download drivers onto USB stick on separate computer then plug into this computer to get the drivers) but works well. Well worth the price for having built in WIFI. RAM is RAM. So far this it has been working well. Will be picking up another stick in the future. Very fast at start up. 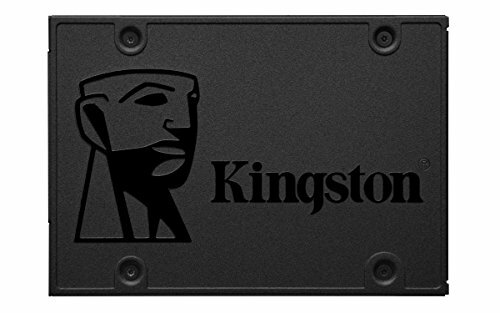 I was hesitant on getting an SSD because the prices were still a little high for me, but it is well worth it even if just to boot up your computer. This drive works well with no problems. A simple hard drive. Works like it should. Quiet as well...at least to me. Can't beat the price. I haven't had the time to try gaming yet, but for videos this little GPU works great. I could have gotten the 4 gb but that was too pricey for me. Can't wait to see how this does with games. It's small...smaller then I thought it would be. I like how little it is but there really isn't a hole lot of room to do cable management. Would I get this case again? Probably not, but it works for what I use it for. 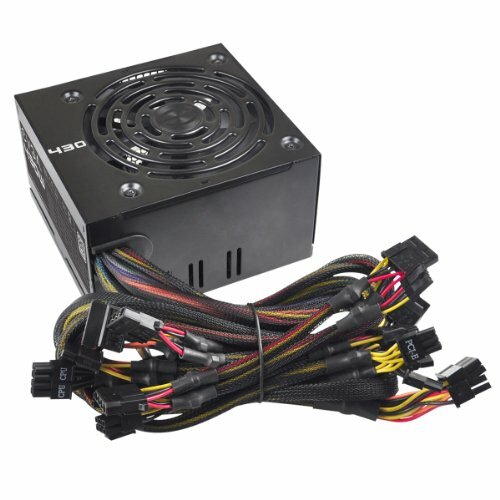 It works like a top of the line regular PSU should work. I just wish I got the modular one. The cables mixed with the case I got made for bad cable management. Windows 10 is great. So much better then previous versions. Though I am more of a Linux user myself. My last build I used Linux only because it was free and I really liked it. With windows though, you can game and pretty much do what you want without any hesitation. I have been having some freezing issues though...Still, I like it. The I5 would give a performance increase, but the new Pentiums are actually really good for price/performance due to hyperthreading being enabled on them now. The legacy Pentium chips were not hyperthreading enabled so that really made this chip a strong one. Yep, for now. Ill upgrade it in the future. Price wise i think i made a good choice. Some day i might upgrade. Nice build you got there, really satisfying placement - how it fits snug between the couch :D. How is the 4560 under load? No problems so far. It runs nice. She will use it to learn her pre k stuff with abc mouse haha. Not a whole lot more then that for her. She could also play minesweeper! I would tackle the challenge of cable management in that case with a non modular PSU. I did a build in a very similar case last summer but it was the CoolerMaster Elite 130 case and just past the power supply there is a bar that runs along the top. I used that bar to tie most of the PSU cables too as to keep them out of the way. That video card is decent for a budget system on 1080p gaming. You won't be doing ultra settings in all games but most sure play fine on medium settings. As far as your comment on how it plays videos fine the Intel HD 610 graphics can play videos fine too. All parts picked for this build were great pics for a low budget gaming build and as far as a non modular PSU is a great way to save money as they are often cheaper and if you can manage the cables it is really no different performance wise than a modular one. It is a low budget build but it wasn't just built to game. Gaming hete and there on it is what ill probably do. I really wantes to get parts to overclock but my budget would't work for that. I do really wish i got a modular psu though. So, with this build and thr motherboard i have, upgrading to an i5 or even i7 later would work right? Also, as for the gpu, are there any suggestions that would be better dor the future if i do so cjoose to upgrade it? Something not to expensive, maybe comparable? 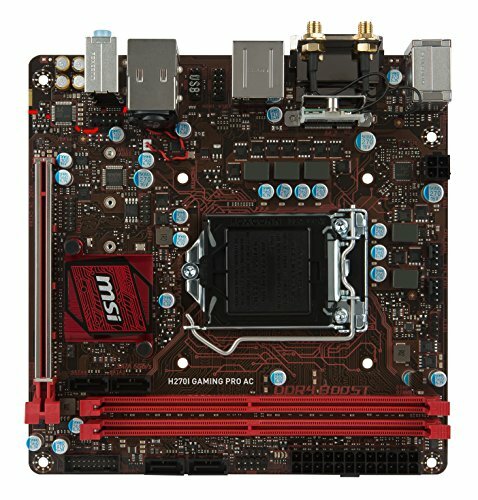 Oh I had a guy he was wanting to purchase my g4560 and he was rambling on and he told me he had purchased the same motherboard and case as you had. i3 8100 and 1050 Ti would've been a better combo. I was able to make a $550 build. At the time i couldnt find the right prices to get anything more then the pentium. Does the i3 8100 have hyperthreading? Unfortunately, it doesn't. It makes up for it by having 2 more cores. It's a steal for such a low price. Ill keep it in mind...unless intel comes out with anything else that affordable. I would wait till 2018. Motherboard prices went up. I was noticing that. Very expensive now. I don't really like builds where the computer itself is hidden away. Computer is no longer on the floor. I have it on a stand right under the tv and beside the couch. mattive29 Does it look nice or is it dusty? Just wanna know. Looks really nice. It's out of the way but no to where it's not noticeable. I'm not really into that kind of stuff...though...It might look good.